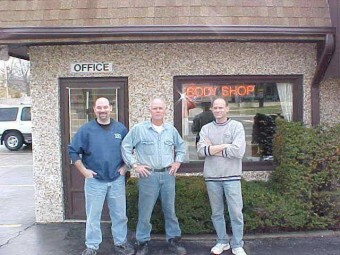 Downers Grove Auto Rebuilders is a family owned and operated collision repair shop established in 1961. Our team of certified technicians led by Jim Kastner and his two sons, Mike and Matt Kastner, have helped restore tens of thousands of vehicles back to pristine pre-accident condition. Rebuilding vehicles is a true love for us. Our passion for perfect restorations has been passed on as a family tradition. There is over half a century of history here. We treat each vehicle as if it were one of our own. We take great pride in providing the highest level of quality service to drivers in the western suburbs. In addition, our ASE Certified technicians and i-Car Certified welders have over a century of combined experience. Their dedication to delivering a finely tuned alignment or front end replacement is unparalleled. They are the backbone of our business. Our goal is your complete satisfaction. Not only at the time of delivery but throughout the lifetime of owning your vehicle. Each repair comes with a lifetime guarantee on all labor and parts (excluding rust repair and normal wear and tear). Most important of all, you will leave with 100% confidence and 100% satisfaction. Don’t let insurance companies “bully” you into taking your vehicle to a collision repair shop that you don’t know or trust. There is no law that requires using their “suggested” repair centers. They are often looking to keep the claim cost low for the insurance company, not the best interests of the vehicle or its owner. We work with nearly every major insurance company for a thorough and comprehensive claim for your vehicle’s full repair. Furthermore, we send estimates and photos to the insurance company. Our team will make the process as painless as possible. In conclusion, at Downers Grove Auto Rebuilders, our first priority is YOU! D.G. Auto Rebuilders is ready to get you back on the road. Click the link to learn more about Downers Grove collision repair services. Looking for an auto body repair and collision technician job? Join the team. "Just wanted to tell you all how great the Volvo looks after your administrations. Rear taillight work looks like new, and can't tell you how great it feels to get in and not see all those door dings on the driver's door."